SIGNS IN LIFE begins with a late night encounter with law enforcement. In the harsh glare of a flashlight, author DEANNA NOWADNICK learns the consequences of speeding through a stop sign. Other incidents follow. All are linked to the divine signs she's encountered in that bigger journey through life. Join Deanna as she shares humorous anecdotes and inspirational lessons from her travels with God. See the signs in life. She might be speeding through a stop sign--yet again!--while you're carefully navigating a busy street, but together we're all part of a bigger journey, a greater purpose. We're all part of God's great story. Deanna Nowadnick is a native of the Pacific Northwest. When not writing, she serves at the Client Service Coordinator for The Planner's Edge, an investment advisory firm in Washington State. Deanna is active in her church, playing the violin and editing the newsletter. She loves to knit, adores chocolate, and most important, enjoys a blessed marriage to Kurt. She's also the proud mother of two adult sons. Her first book, Fruit of My Spirit, began as a short story for Kyle and Kevin about how she met their father. It quickly became a much larger story about God's love and faithfulness. 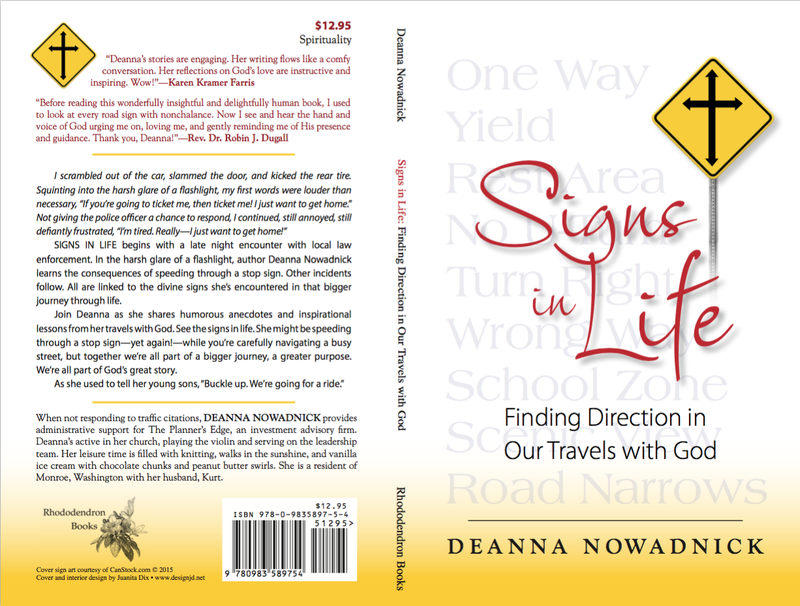 Deanna has just finished her second book: Signs in Life: Finding Direction in Our Travels with God. Thanks for featuring Signs in Life! As you've noted, this is my second book and I enjoyed this chance to reconnect.